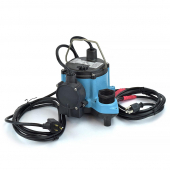 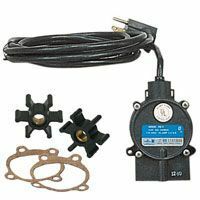 Little Giant 6-CIA-RS (506267) is a 1/3HP Automatic Submersible Sump Pump with 10ft cord, oil-filled motor lubricated for life and a Piggyback Diaphragm Switch, which activates the sump pump when water reaches level of 7"-10" and shuts it down when water is in the 1"-4" range (these ranges are automatically detected by the switch and are non-adjustable). 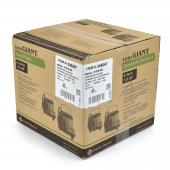 Little Giant 6-CIA-RS sump pump is intended for use in various residential and commercial applications, as well as other de-watering and liquid transfer applications. 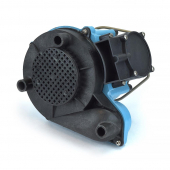 6-CIA-RS pump model has a 1-1/2" FNPT discharge with an max. 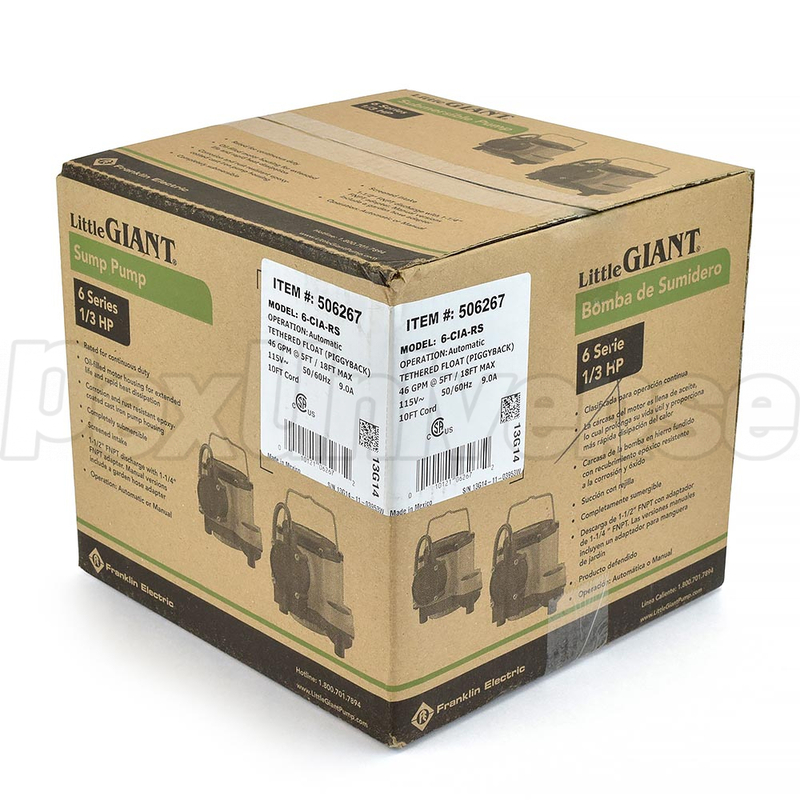 capability of 18ft of head. 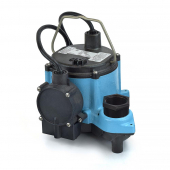 Features cast iron motor housing (oil-filled for lifetime lubrication), poly-carbonate cover, polypropylene volute-base and other corrosion resistant components. Piggyback switch gives the user an ability to operate the pump in both automatic and manual operation modes. 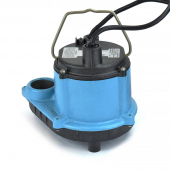 Additionally, piggyback diaphragm switch included with 6-CIA-RS model can be replayed, if necessary, eliminating the need to replace the entire pump. 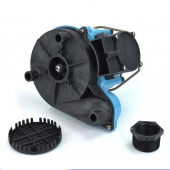 Dimensions (H x W x L): 7.3" x 7.3" x 9.5"